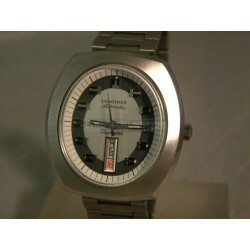 Longines is a Swiss luxury watchmaker based in Saint-Imier, Switzerland. The company was originally founded by Auguste Agassiz in 1832 and it currently holds the oldest registered logo for a watch company (a winged hourglass). 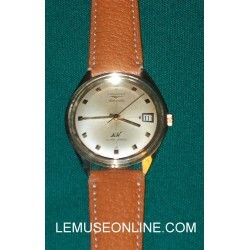 Longines is currently owned by the Swatch Group. 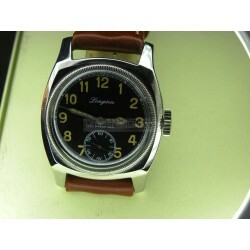 Longines is known for its 'Aviators' watches. One director of Longines was a friend of Charles Lindbergh; after his transatlantic flight, Lindbergh designed a pilot watch to help with air navigation. 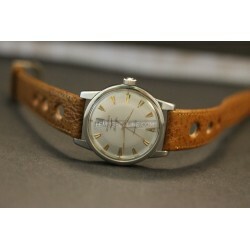 The watch was built to his specifications, and is still produced today. 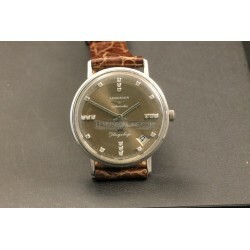 Famous aviators, explorers and pioneers have consulted Longines. Longines provided timers used at the first modern day Olympics in 1892. 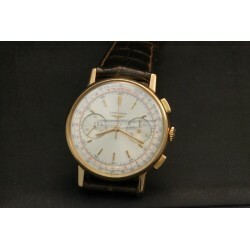 In 1899, Longines went to the North Pole with Arctic Louis Amédée de Savoie. It was the first to use automatic timekeeping for the Federal Gymnastics, at Basel in 1912. Today, Longines remains a widely recognized name in sport watches and chronographs.NB WE REMIND YOU THAT A LOT OF OUR WATCHES ARE SOLD BY US FOR OUR CUSTOMERS...THIS MEANS THAT IF YOU WANT TO COME IN OUR SHOP TO SEE ONE OF THEM YOU HAVE TO CONTACT US TWO OR THREE DAYS BEFORE IN ORDER TO LET US TO HAVE THE TIME TO BRING THERE THE WATCH! 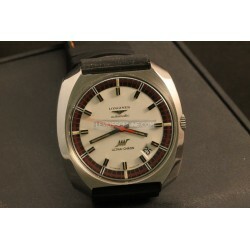 Longines There are 12 products. 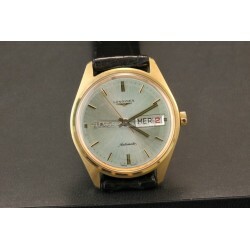 18kt yellow gold case Automatic movement Produced in the '50s Wonderful movement Very nice condition! 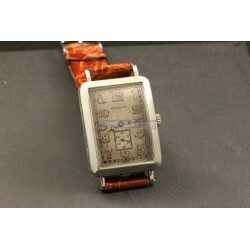 Steel case ( size 26mmX35mm ) Hand winding movement caliber 1086N Brown crocodile strap Beautiful original dial Plexi glass Reference 12311 Made in the 1928 Very rare and old model, probably it was given as a gift by the company 'Howard Automobile Co.' to one of its dealers! Very nice conditions! -18kt rose gold case ( diameter 35mm )-Beautiful anonymous 18kt rose gold bracelet-Automatic movement caliber 19ASD-Wonderful original pie pan dial with patina-With date-Plexi glass-Reference 9005-Made in the '50s-Rare model-Very nice conditions! Steel case ( size 37mmX38mm ) Steel brecelet Automatic movement caliber 508 Beautiful two tones dial With day-date Mineral glass Reference 1561-1A Very nice conditions! Steel case ( size 40,5mmX51mm ) Hand winding movement caliber 1368Z Brown leather strap Beautiful original aged dial With small seconds Plexi glass Reference 400 With its assignment number on the back Rare model used by the cecoslovakian army during the '40s Very nice conditions! 18kt yellow gold case ( diameter 35mm ) Automatic movement caliber 503 Original black crocodile strap Original yellow gold buckle Argentee dial With day-date Plexi glass Reference 8184 Made in the '60s New Old Stock never worn! Steel case ( diameter 41mm ) Automatic movement caliber 431 Black caucciù strap Rare ivory color dial With date Sapphire glass Reference 8472-1 Made in the '70s Almost a new old stock, never polished and perfect!!! 18kt white gold case ( diameter 35mm ) Automatic movement caliber 431 Brown leather strap Rare diamonds dial With date Plexi glass Reference 8054 Made in the '60s Rare white gold model! Very nice conditions! 18kt pink gold case ( diameter 36,5mm ) Hand winding movement caliber 30ch Brown crocodile strap Original dial With chronograph Plexi glass Reference 7414 Made in the '60s Rare pink gold model Wonderful conditions! 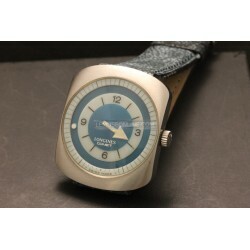 -Steel case ( size 35mmX39mm )-Automatic movement caliber 702-Black/light blue leather strap-Blue/white dial-Original plexi glass-Reference 8475-Made in the '70s-Rare model-Nice conditions!